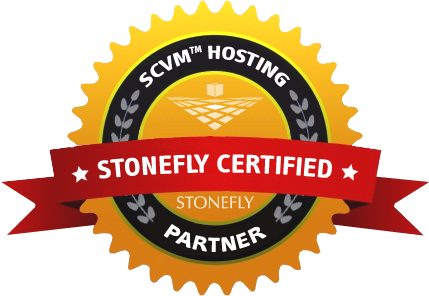 StoneFly is proud to announce the launch of the SCVM ™ Certified Hosting Partner’s Program. We will be partnering with top-notch datacenter hosting providers, to provide a comprehensive off-site data continuity and disaster recovery solution to our customers. Need of a backup solution but don’t have the time, money, or manpower to manage another storage or server? Or maybe you want an off-site backup solution? Our SCVM™ Certified Hosting Partners are there to provide a complete storage solution built to satisfy your disaster recovery and business continuity objectives. By combining their secure hosting services with SCVM’s advanced asynchronous remote replication and snapshot technologies, our hosting partners are ideal for protecting your mission-critical information. Find out more about the SCVM™ Certified Hosting Partner’s Program on our website. Also if you’re interested in learning more about the program, contact StoneFly sales at (510) 265-1616 or Sales@StoneFly.com. This entry was posted in backup, News and Press Releases, StoneFly and tagged business continuity, disaster recovery, hosting provider, scvm, SCVM™ Certified Hosting Partners Program, StoneFly, virtual ip san. Bookmark the permalink.